As they celebrate their 14th anniversary (here are photos from their 13th anniversary party), MAVERICK has undergone a rebranding initiative. The major undertaking is part of the “new” MAVERICK, the company has refreshed their logo, dropping the “Public Relations” tag as they look towards a offering a broader range of marketing communications services the agency offers. MAVERICK has also been hired by Richtree Natural Market Restaurants as their new public relations agency of record. As part of the assignment, MAVERICK will help the restaurant chain with their re-launch this summer at Toronto Eaton Centre. 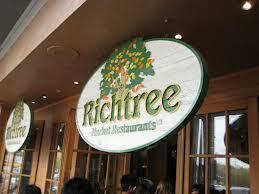 Richtree is reimagining the market food concept with a new, 450 seat flagship restaurant. The restaurant will feature 12 different food stations, express pick-up and grab-and-go options, and will have unique dinner offerings and a fully licensed bar.